This property is the perfect package of luxury, ease and comfort! FALL IN LOVE WITH THIS 4 BEDROOM, 2 BATHROOM TOTALLY RENOVATED AND UPDATED HOME! This home has been loved and is ready for it's new owners! The interior features gorgeous tile and laminate flooring, a spacious living room with room for family and friends, a galley kitchen with trendy back splash and plenty of cabinetry, and a light and bright dining room that also includes a bar top. The guest bedrooms are large in size and the closets have adjustable shelving. The master suite is tranquil and boasts a pristine, private bathroom with beautiful tile work. The guest bathroom has a spa-like vibe and is conveniently located next to the main living area. Enjoy doing your laundry in your spacious indoor laundry room with shelving for all of your storage! 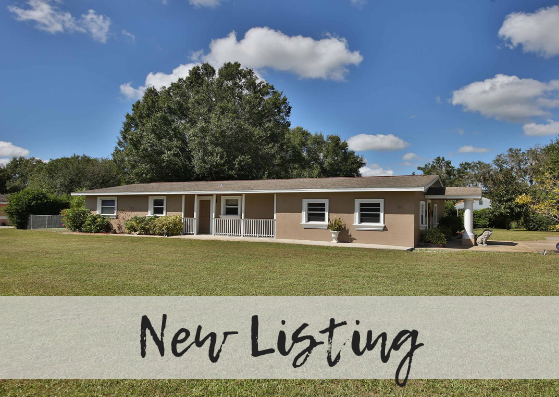 The exterior has even more to love starting with the circle drive, the sparkling salt-water pool, a great workshop with a loft area, a carport for your extra vehicles and an outside lanai perfect for enjoying cool Florida mornings! This home is the complete package and is nestled in the middle of the lovely city of Arcadia close to schools, local restaurants and shopping! Book your private showing today!